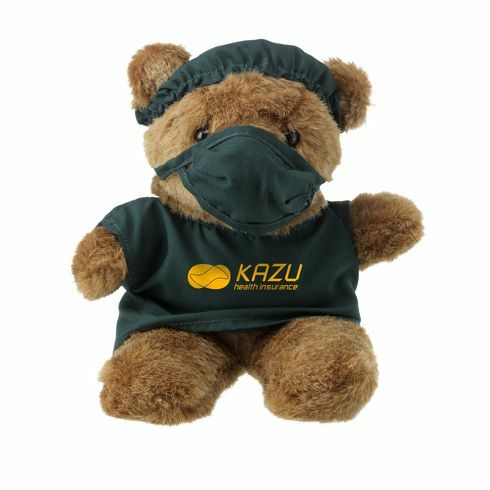 The plush bear with surgical clothing. The ideal gift for the nursing, health, wellness and children's areas. Article dimensions: 22 x 20 cm. We print your advertising message for free! in full color 4-C pressure on the apron. Advertising space: 70 x 40 mm.